Summer is the best time to just eat fresh. Whether you have a garden, shop at a farmers market or just the store, food seems fresher in the summer. 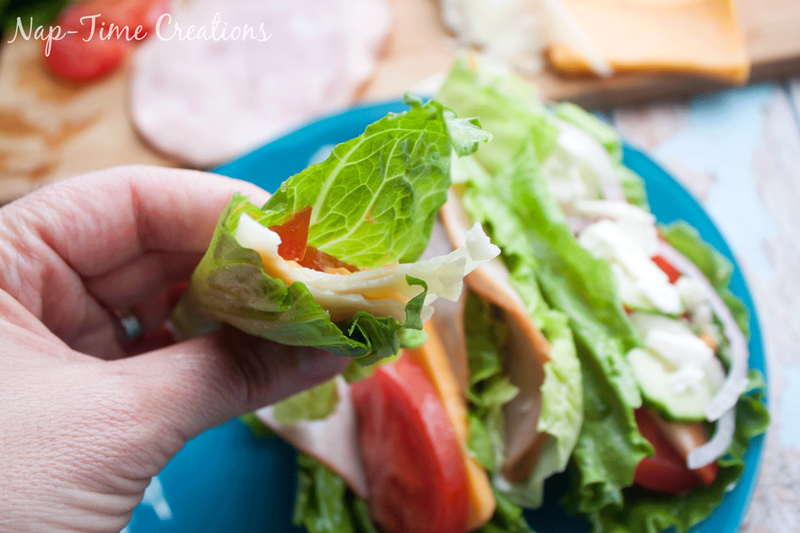 These lettuce sandwich wraps are a perfect summer lunch with endless possibilities and tasty options. Sandwiches are my go to lunch in the summer, but sometimes I feel like we are eating bread, bread, bread. So this let’s me have all my favorite fillings, without the bread! I made three different sandwiches here, but really you can use any sandwich you like on bread and just make it on a lettuce wrap. Here I’ve got a greek wrap, a ham and cheese and a hummus, veggie, cheese wrap. 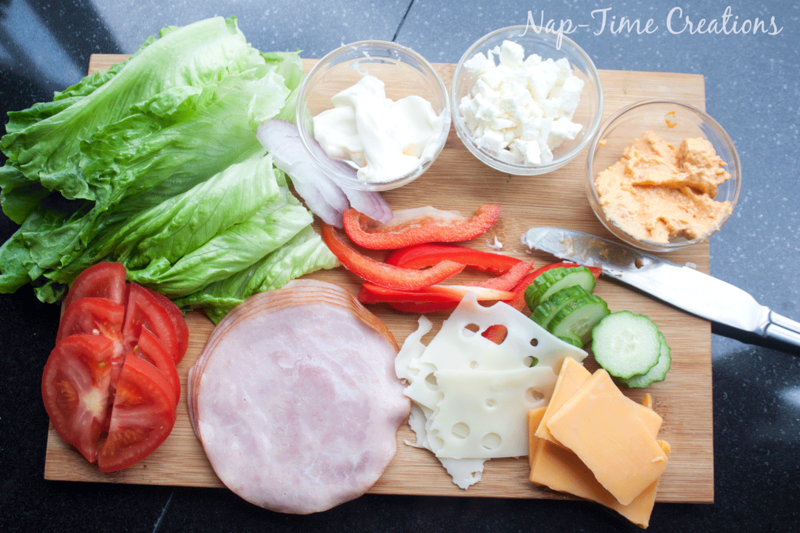 Here are ingredients to make all three sandwiches. 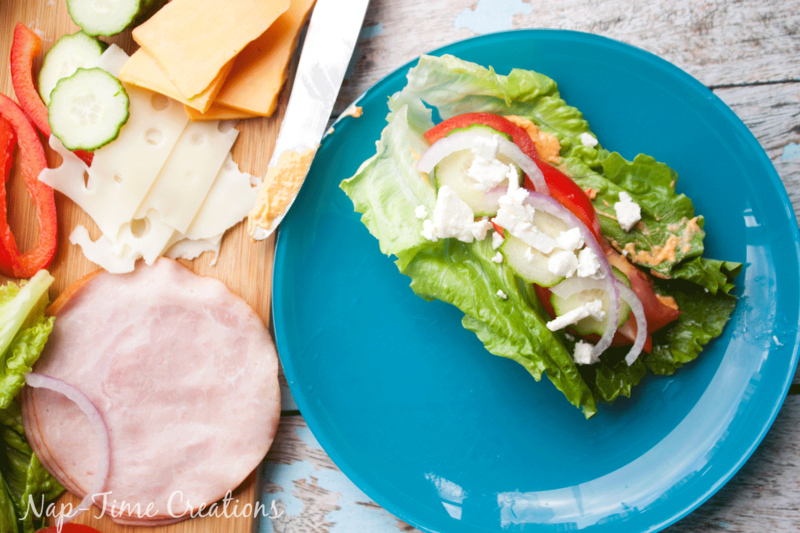 Mayo, feta cheese, hummus, red pepper, cuccumbers, onions, tomatoes, ham, swiss cheese, cheddar cheese and the lettuce. 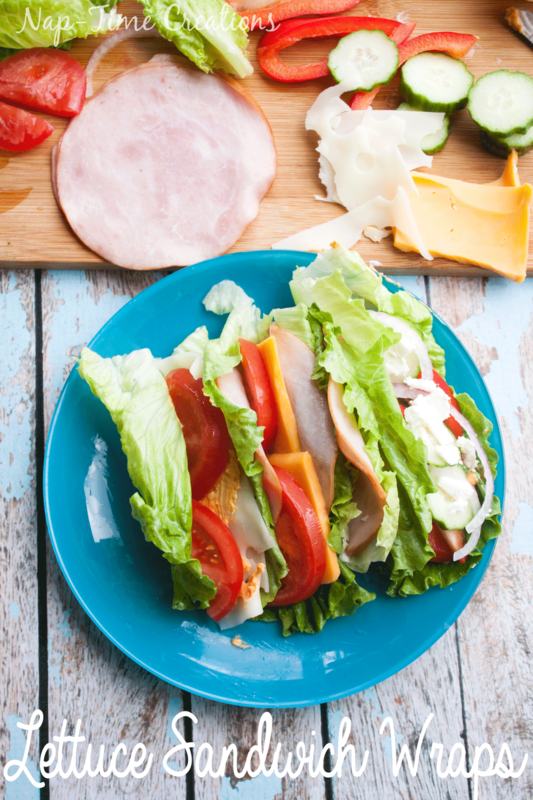 Then layer on the veggies, meat, and cheese… you can’t make a bad lettuce sandwich wrap! the greek wrap has hummus, tomato, cuccumber, tomato, onion and feta cheese on top. 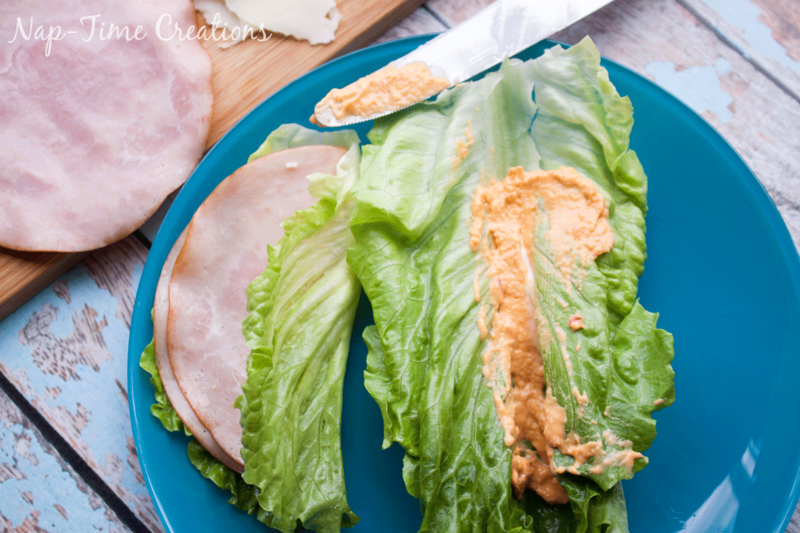 The ham and cheese lettuce sandwich wrap was just mayo, swiss cheese, then ham. You can add veggies too if you like. 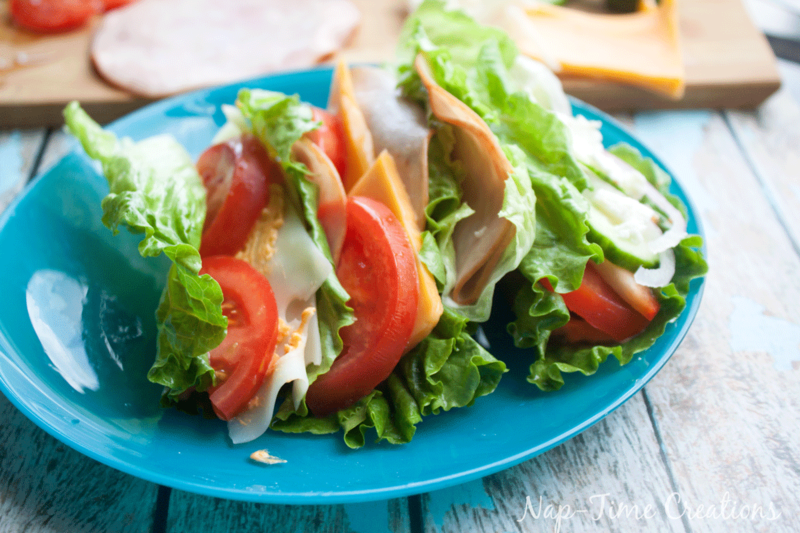 Make up a few for each person, then enjoy this tasty summer lunch by yourself or with friends. Yum – I think I’m ready for lunch! 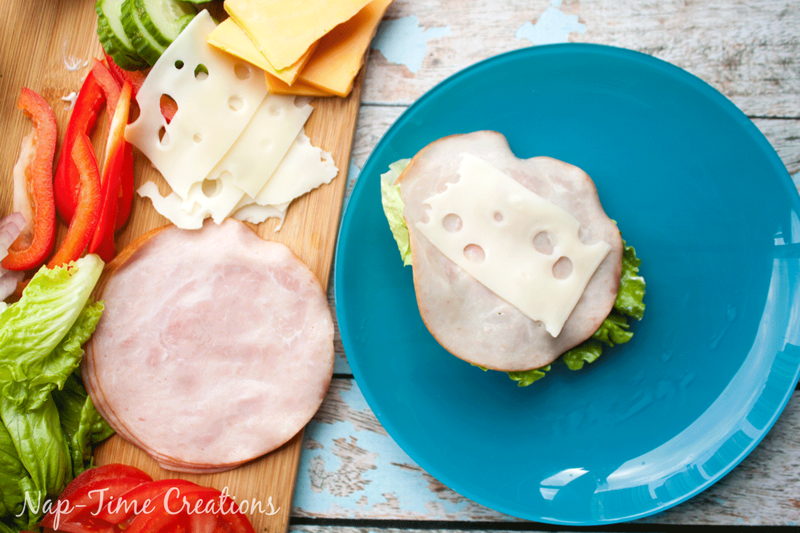 Thanks for sharing at the What’s for Dinner link up! This look delicious! I bet the crisp lettuce makes them so satisfying. 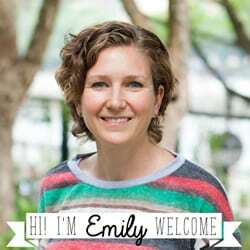 Thank you for sharing on Family Joy Blog Link-Up Party this week. Thanks for sharing your recipe at Inspire Me Monday. I wanted to let you know that I am featuring you and your recipe this week. Come check it out. http://www.farmhouse40.com Hope to see you there.